He's at that age. Farts and potty jokes are the funniest thing in the world. Why fight it? 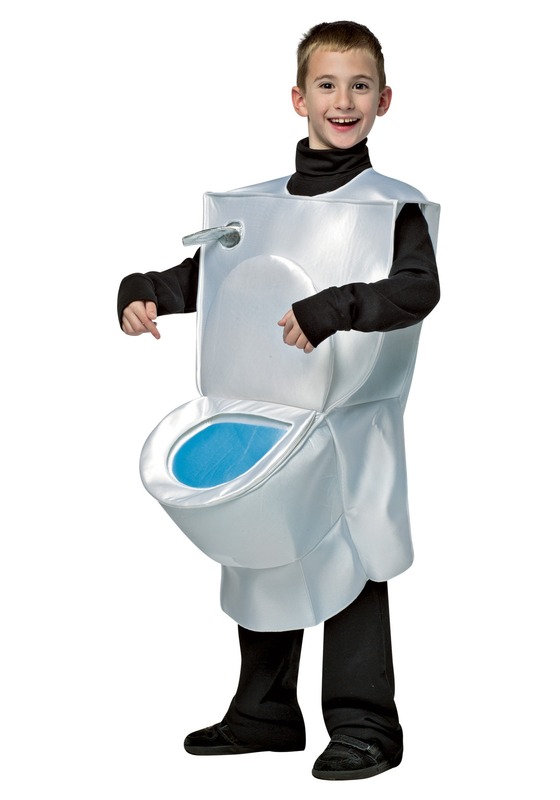 In a few years he'll mature out of it, but for now, this Kids Toilet Costume is pure comic gold with him and his friends. And you'll be the coolest parent in the world for letting him wear it. As an added bonus, you can take few snapshots of him wearing it for safe keeping when he's all grown up.